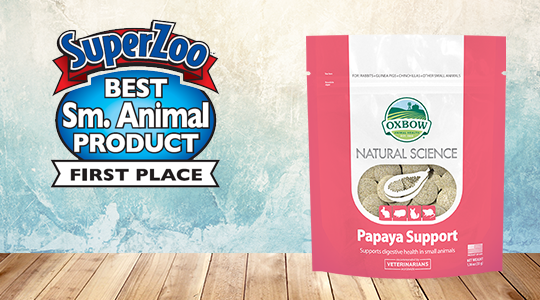 Papaya Support - Best New Product at SuperZoo! We love attending SuperZoo every year in Las Vegas. It's a great industry event and an amazing opportunity to connect with retailers from all over the globe while sharing our latest innovations. 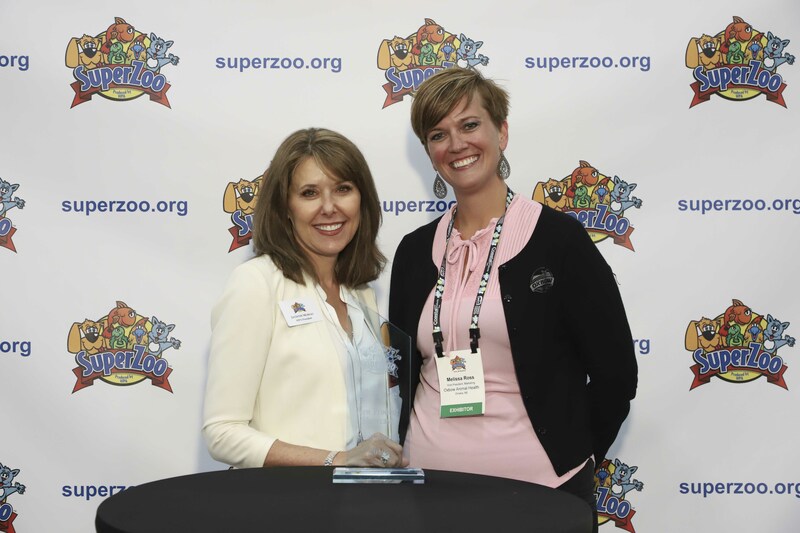 This year's experience was made even better when we learned that our new Natural Science Papaya Support supplement was named Top Small Animal Product. We are thrilled that this year's SuperZoo attendees are as excited about Papaya Support as we are. Digestive health is such an important issue for small pets, and we are committed to providing support options for pets and their caretakers. Papaya Support utilizes high quality ingredients such as papaya, pineapple, papain, bromelain, and timothy grass to promote overall digestive health in small animals. For pet parents who are new to the thought of providing digestive support for your pet, we encourage you to check out our earlier blog outlining the key features of our Digestive & Papaya Support supplements and how they can function together to provide comprehensive support.